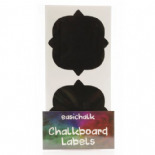 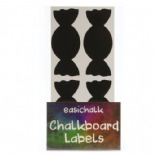 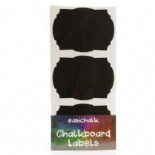 Chalkboard labels are the perfect way to label and organise just about anything you want and look stylish at the same time. 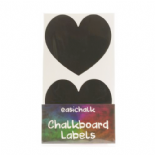 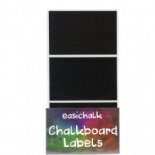 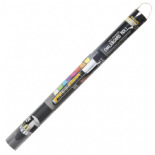 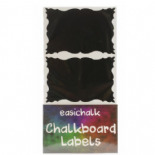 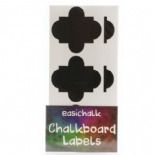 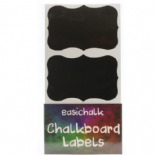 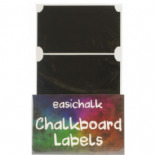 Just simply peel and stick and use one of our chalk pens to write your contents or message and when you want to change, just wipe clean and re-use. 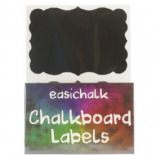 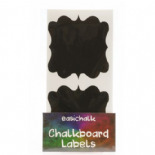 For a chalk look but a permanent effect use with one of our paint pens. 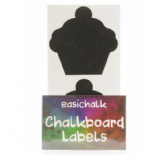 Perfect for Jars, bottles, plant pots, presents, boxes, containers, window boxes, doors, drawers, tupperware, kilner jars and so much more, the only limit is your imagination!